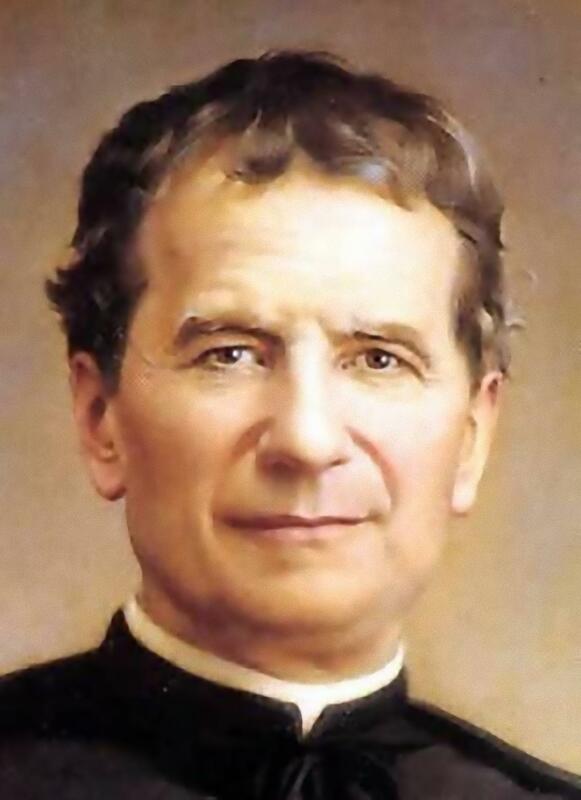 Jan 31 – St John Bosco (1815-1888) – Priest, Patron & Protector of Youth, “Father & Teacher of Youth”, “To serve the Lord with JOY!! !” | ADULT CATECHESIS & CHRISTIAN RELIGIOUS LITERACY IN THE ROMAN CATHOLIC TRADITION: hosting ONLY True Christians!! !, or "How to think Catholic!!" In 1867 Pope Pius IX was upset with John Bosco because he wouldn’t take his own dreams seriously enough. Nine years earlier when Pope Pius IX met with the future saint who worked with neglected boys, he learned of the dreams that John had been having since the age of nine, dreams that had revealed God’s will for John’s life. So Pius IX had made a request, “Write down these dreams and everything else you have told me, minutely and in their natural sense.” Pius IX saw John’s dreams as a legacy for those John worked with and as an inspiration for those he ministered to. As adults, most of us would be reluctant to take on such a mission — and nine year old John was even less pleased. “I’m just a boy,” he argued, “how can you order me to do something that looks impossible.” The man answered, “What seems so impossible you must achieve by being obedient and acquiring knowledge.” Then the boys turned into the wild animals they had been acting like. The man told John that this is the field of John’s life work. Once John changed and grew in humility, faithfulness, and strength, he would see a change in the children — a change that the man now demonstrated. The wild animals suddenly turned into gentle lambs. Eventually that first dream led him to minister to poor and neglected boys, to use the love and guidance that seemed so impossible at age nine to lead them to faithful and fulfilled lives. He started out by learning how to juggle and do tricks to catch the attention of the children. Once he had their attention he would teach them and take them to Mass. It wasn’t always easy — few people wanted a crowd of loud, bedraggled boys hanging around. And he had so little money and help that people thought he was crazy. Priests who promised to help would get frustrated and leave. Two “friends” even tried to commit him to an institution for the mentally ill. They brought a carriage and were planning to trick him into coming with them. But instead of getting in, John said, “After you” and politely let them go ahead. When his friends were in the carriage he slammed the door and told the drive to take off as fast as he could go! Through it all he found encouragement and support through his dreams. In one dream, Mary led him into a beautiful garden. There were roses everywhere, crowding the ground with their blooms and the air with their scent. He was told to take off his shoes and walk along a path through a rose arbor. Before he had walked more than a few steps, his naked feet were cut and bleeding from the thorns. When he said he would have to wear shoes or turn back, Mary told him to put on sturdy shoes. As he stepped forward a second time, he was followed by helpers. But the walls of the arbor closed on him, the roof sank lower and the roses crept onto the path. Thorns caught at him from all around. When he pushed them aside he only got more cuts, until he was tangled in thorns. Yet those who watched said, “How lucky Don John is! His path is forever strewn with roses! He hasn’t a worry in the world. No troubles at all!” Many of the helpers, who had been expecting an easy journey, turned back, but some stayed with him. Finally he climbed through the roses and thorns to find another incredible garden. A cool breeze soothed his torn skin and healed his wounds. In his interpretation, the path was his mission, the roses were his charity to the boys, and the thorns were the distractions, the obstacles, and frustrations that would stand in his way. The message of the dream was clear to John: he must keep going, not lose faith in God or his mission, and he would come through to the place he belonged. Often John acted on his dreams simply by sharing them, sometimes repeating them to several different individuals or groups he thought would be affected by the dream. “Let me tell you about a dream that has absorbed my mind,” he would say. The groups he most often shared with were the boys he helped — because so many of the dreams involved them. For example, he used several dreams to remind the boys to keep to a good and moral life. In one dream he saw the boys eating bread of four kinds — tasty rolls, ordinary bread, coarse bread, and moldy bread, which represented the state of the boys’ souls. He said he would be glad to talk to any boys who wanted to know which bread they were eating and then proceeded to use the occasion to give them moral guidance. He died in 1888, at the age of seventy-two. His work lives on in the Salesian order he founded. The devil will use every weakness of ours to prevent our good works, to prevent service to Him, to do His will, to make it easier to lure others into his snare. Where is your faith? Where is trust? Mt 19:14. St John Bosco, pray for us! Lord, have mercy on us! Lord, give us the courage, the strength, the fortitude to never abandon our mission You gave us, and You insist on our ministering to the weak, the innocent, the young, those most in need of the Gospel.